RMD ALERT : If your DOB is 1-1-44 through 6-30-44 … THIS IS FOR YOU! Required Minimum Distributions (RMD’s) can be deferred for the FIRST year after you turn 70 and 1/2 years young. Sounds neat huh…. CAUTION ! 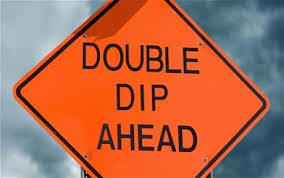 If you choose to defer your first year RMD, be aware you will HAVE to “Double Dip” and take two distributions the following year. This may cause adverse tax consequences! Once you pass, you have no other choice, and not making a decision IS making a decision. Confused ?? Not to worry, you still have time this year … Well, until 12-31-14 ….. Just give us a call ! This entry was posted in General Financial Planning, Investing/Financial Planning, Retirement Planning, Tax Related and tagged Double Dip RMD, Early RMD, Required Minimum Distribution, RMD, Smooth RMD. Bookmark the permalink.